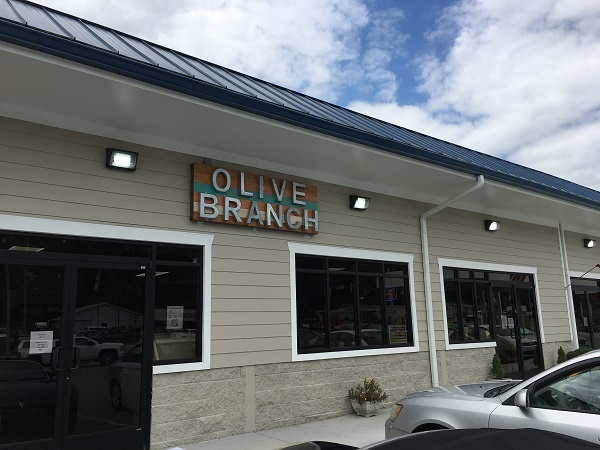 Olive Branch, East Ridge TN – Marie, Let's Eat! Time has been very demanding lately, resulting in a bad crunch on our blog, but I wanted to take a minute and share a couple of words about a good place on Ringold Road. Last month, we introduced you to 2 Crazy Greeks, one of my favorite restaurants in the area. But as much as I enjoy it, I kind of like to have indoor seating, especially in the summer. As it got hotter and hotter in June, I looked around for another place to enjoy Mediterranean food, and found this delightful little grocery store with a lunch counter. There are lots of old grocery stores in the Tennessee River Valley which have sandwich counters, and many of these have a delightful, ramshackle charm. I am very, very fond of Staggs Grocery in Florence AL, where you can get a mean hamburger. I’m also reminded of a place here in Chattanooga that I’m not completely crazy about, O’Dell’s Grocery. These places, with their mismatched chairs and uneven tables, are very old, and evolved a little ways and just stopped. They’re predecessors of gas station convenience stores with sandwiches and fried chicken. Olive Branch evoked that feeling, but it isn’t anything like those otherwise. It was built and born fully formed, with very nice tables and fixtures, and works as both a store that imports the highest quality foods from Mediterranean countries, but also has both a deli counter and a few hot trays with rotating daily specials. It opened in the spring of 2016 and commands some very loyal customers. On my first visit, I had a gyro with a side of chickpea stew, and on the second, I had one with potato salad. I obviously enjoyed the gyro enough to order it again, but both times I was a little disappointed with how the pita disintegrated. Still, it’s great meat and I really enjoyed each of the sides. 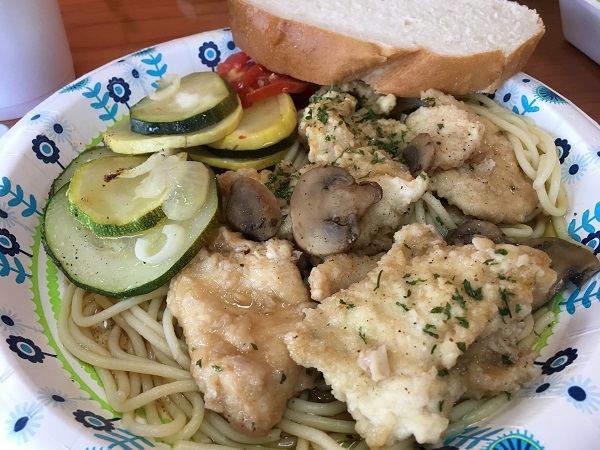 On a third visit, I ordered the chicken marsala from the hot menu. They typically have this on Wednesdays; they offer Greek-style lemon chicken every day along with a couple of other entrees. This was completely delicious. I really loved the flavor of the tender chicken and the light sauce and would love to have this again. Maybe I’ll bring home supper from Olive Branch one day soon. 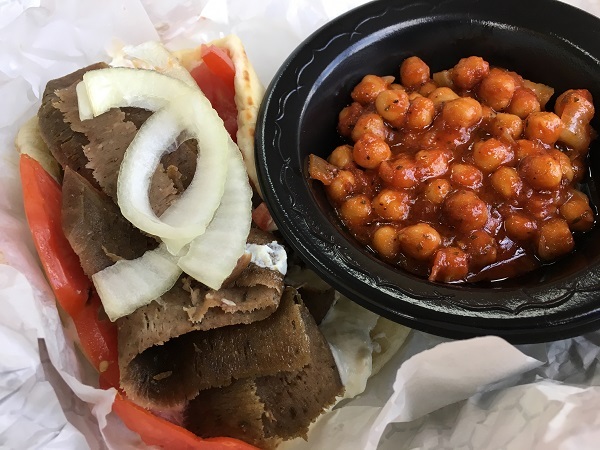 Bottom line: I really do prefer the gyro at 2 Crazy Greeks, but the hot food and the cool air make Olive Branch a completely different sort of destination. I’m very glad that both restaurants are around and will happily visit both of them for very good meals. Posted on July 27, 2017 by Grant G.Posted in chattanooga, mediterranean, tennesseeTagged chattanooga, east ridge, mediterranean, tennessee.